Ed Gillespie’s focus as governor will be to create and sustain economic growth and job creation for all Virginians in every region. Access to reliable high-speed internet service has become essential for businesses and individuals to grow and prosper. That is why the Federal Communications Commission (FCC) has classified broadband as critical infrastructure. Incredibly, 70% of the world’s internet traffic flows through Northern Virginia, yet over 900,000 of our fellow Virginians, predominantly in rural regions, lack access to high-speed internet.1 Businesses and individuals need access to broadband in order to succeed in the 21st century economy. A lack of broadband not only restricts economic growth, but limits innovation and access to healthcare and education, and hinders public safety. The goal of a Gillespie Administration will be to ensure high-speed internet access to more than half of those without it today. Consider Northumberland County. Up to half of its residents do not have access to high speed internet. Many residents can be found parked outside the county library at night, catching up on work or school, because the library has wifi. Northumberland is like many Virginia localities struggling to bring together public and private efforts to enable a basic service in today’s world. Less than 100 miles away, the City of Virginia Beach is soon to be home to the first transoceanic high-speed Internet cable in the Mid-Atlantic. When completed, it will be the highest-capacity subsea cable to ever cross the Atlantic. Virginia’s next governor must be ready to capitalize on this opportunity. Virginia can and should be the broadband innovation and transmission capital of the East Coast to the benefit all regions. In order to support start-ups and scale-ups, expand our economy, create jobs, and empower all Virginians, we need to work to close our broadband gaps. If Virginia is to be a leader in autonomous technology, data centers, biotech, cybersecurity, and other high-growth technologies, these businesses need access to online customers, mentors, and potential funders. 21st century companies don’t just want high-speed internet; they require it. We cannot grow regional economies without a serious focus on bringing broadband access to all areas of Virginia. Ed’s plan would remove regulatory barriers and fund broadband deployment in order to provide more Virginians with access to high-speed internet. For too long, the focus has been on planning and studying. Now is the time for action. Click here to download a copy of the plan. For too long, broadband has been deemed a priority without measureable steps to accelerate its deployment. It’s time for Virginia to make necessary resources available to deploy more broadband. Ed does not believe the Commonwealth should be in the business of picking economic winners and losers, nor does he want to slow broadband deployment by supporting one technology over another. The free market will drive the most cost effective methods to provide and expand broadband. Funding will be focused on local needs for coverage, bandwidth speed, cost, and time to deploy. A technology neutral approach allows more service providers and businesses to participate in expanding broadband in Virginia. That is why Ed will reform funding mechanisms to better incentivize private broadband production. The Commonwealth’s bond capacity is traditionally used to fund projects in higher education, state government and critical infrastructure. As governor, Ed will put forward a bond package to fund broadband deployment consistent with the Department of Housing and Community Development’s Virginia Telecommunication Initiative (VATI) program criteria. The Virginia General Assembly has provided strong leadership in establishing VATI, which consolidates the funding responsibilities, priorities, and resources into one agency and allows for decisive, measurable action. Ed will fund the Virginia Broadband Infrastructure Loan Fund, a revolving loan fund, to leverage resources to fund broadband. Further, participation in the VATI program beyond current levels of grant-making would require participation in the Virginia Broadband Infrastructure Loan Fund. Ed will also work to encourage Virginia’s private sector to contribute to the Virginia Resources Authority’s Virginia Broadband Infrastructure Loan Fund. Virginia’s business and industry has a vested interest in economic growth and in making contributions to the Fund enhances leverage to grow our broadband infrastructure. 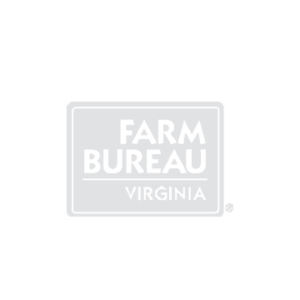 The federal government has funding and loan options available to providers seeking support in rural broadband deployment. Under the Trump Administration, broadband is considered a critical element of the country’s physical infrastructure. New FCC Chairman Ajit Pai, while touring rural Virginia, stated that rural broadband development is a core mission of the FCC. As such, Ed wants to make sure Virginia is well represented in the federal arena.Ed will task the Secretary of Technology to serve as Chief Advocate for Virginia on all federal broadband matters to include funding and federal regulatory changes. Virginia businesses and service providers need a clear voice and liaison at the federal level to help them in their efforts to provide internet access to our fellow Virginians. Ed will improve cross-agency collaboration and data sharing by specifically assigning key areas of broadband development to avoid overlap and confusion. Currently, broadband planning, funding, and implementation are managed across multiple agencies and lacks clear direction, leading to an ineffective system with meager results. Ed will consolidate tasks and oversee all broadband efforts through the Secretary of Commerce and Trade and Secretary of Technology jointly. Each secretariat will have distinct, clear responsibilities on broadband. All state funding will be executed through the Department of Housing and Community Development (DHCD) led by the Secretary of Commerce and Trade. All broadband advocacy, research, technical support, and federal engagement will be led by the Secretary of Technology. Together, the Secretary of Commerce and Trade and Secretary of Technology will be responsible for the statewide access to broadband. They will report at the end of each fiscal quarter to the Governor and General Assembly on progress. 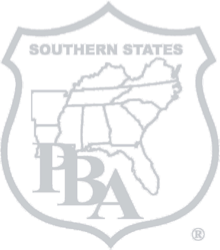 The Broadband Advisory Council serves as an advisory to the Governor to bring state resources, local priorities and private sector perspectives together. Ed will charge the Council to work with the Administration to develop milestones to accomplish actions necessary to close the digital divide in the Commonwealth. Ed will lead an effort to reform anti-competitive regulations that are blocking or hindering the expansion of broadband in the Commonwealth. A review of state resources will be conducted to ensure that broadband requirements and issues get the undivided attention they deserve to deliver faster broadband deployment. Additionally, Ed will direct his Secretary of Technology to conduct an evaluation of existing state assets, such as towers, land, community colleges, prisons, and other buildings that could be utilized in the deployment of private sector broadband expansion projects. Our government should make it easier, cheaper, and faster to deploy high-speed internet to people and businesses. Further, Ed will direct the Virginia Department of Transportation (VDOT) to study ways to increase access to rights of way the state controls and cost effective solutions to include conduits and other accommodations to permit broadband in our highways as they are expanded or rehabilitated. Part of VDOT’s review would be to determine how a VDOT ‘Dig Once’ policy could enhance broadband during the construction of the Coalfields Expressway effort or improvements to Interstate 81. The sweet spot of job creation is when a small business is becoming a larger one. Businesses must have access to the infrastructure and resources of broadband to grow. Ed will work with public and private stakeholders from around the Commonwealth and the General Assembly to build and foster a pro-growth, lighter touch, broadband regulatory environment. As governor, Ed will work to accelerate private investment, provide state leadership, support, and funding in partnership with localities and private sector service providers. Ed will also work with the Virginia Tobacco Region Revitalization Commission to provide and further expand its grant funding to accelerate broadband projects in Southern and Southwest Virginia. Ed will work with pilot projects across Virginia, such as Microsoft’s Rural Airband Initiative, to help continue and support the progress of so many Virginia stakeholders in their mission to connect all Virginians. Further, Ed will work with GO Virginia regional councils in underserved broadband regions to foster collaboration between existing economic development projects and broadband expansion to maximize the work that GO Virginia is doing in regions across the Commonwealth. Transparency, accountability and urgency are key elements to all of Ed’s policies. It is important for Virginians to more easily interact with their government and for government to be accountable to all Virginians. The Secretary of Commerce and Trade and Secretary of Technology’s quarterly Broadband Report will summarize all state activities and efforts that are underway to improve broadband for all Virginians. The Broadband Report will also provide a scorecard and milestone update on activities so Virginians can better hold government accountable for delivering on the promise to improve broadband for all Virginians. The challenge for Virginia’s next governor will be to expand broadband to areas that do not have access and increase speeds in areas that do have access. In the 21st century, Virginians must have access to broadband. 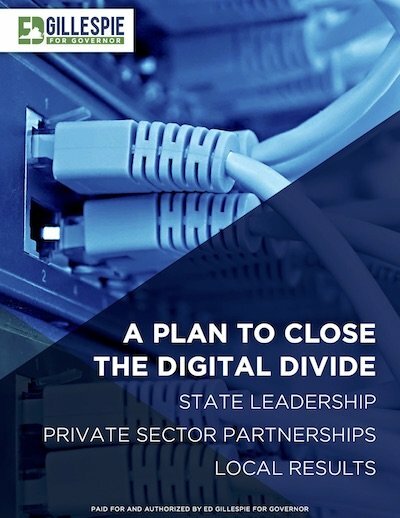 Ed will not just plan and evaluate the current state of connectivity in Virginia, but take action to prioritize and fund broadband deployment throughout the Commonwealth.